LONDON: 1 September 2016 - The directors of ECR Minerals Plc (the “Board”) announce the appointment of Craig Brown as Chief Executive Officer with immediate effect. Craig joined the Board of ECR Minerals on 3 May 2016 as the Company’s part-time Finance Director. Craig Brown is a Chartered Accountant with over 21 years’ experience in senior management and finance roles within the exploration and mining industry. “Craig brings in-depth experience in senior management and finance roles in the mining industry. I believe he has the drive and ability to take ECR into the next stage of its development and I am confident that he will make an excellent CEO." “I am pleased to be appointed to the position of CEO and am fully committed to turning ECR around and rebuilding the Company to deliver real shareholder value. The past couple of months have been a challenging period for the Company and its shareholders. 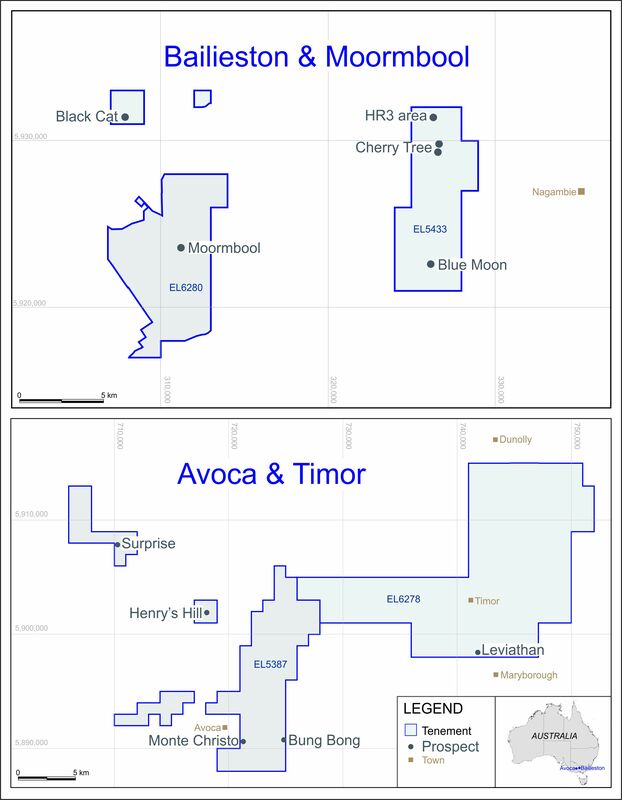 We believe there is significant potential in the Avoca and Bailieston projects in Australia, both with regard to the possibility of recovering gold and construction materials from the Avoca tailings dumps, and the wider exploration potential within the highly prospective Central Victorian Goldfields. I would like to reassure shareholders that the Board and management of ECR are doing our utmost to stabilise the Company and move the business forward with confidence." Craig Brown was a founding shareholder of Kryso Resources plc (“Kryso”), a gold exploration and development company which was admitted to trading on AIM in 2004. Kryso was restructured and renamed China Nonferrous Gold Ltd (“CNG”) in 2013. Craig acted as Finance Director and Company Secretary of Kryso before becoming Managing Director in 2010 and stepping down from the board in September 2013. During this period, Kryso/CNG delineated a five million ounce JORC Mineral Resource at the Pakrut gold project in Tajikistan, completed a bankable feasibility study for the project, obtained debt and equity finance for mine development, and commenced construction of the mine and infrastructure. Since 2013, Craig has continued to act as a consultant to CNG, during which time CNG has successfully obtained additional debt finance in order to commence production, completing the first gold pour at the Pakrut mine in 2015. Prior to his roles with Kryso/CNG, Craig held positions with Gulf International Minerals Ltd and Nelson Gold Ltd, both of which also successfully put gold mines into production during Craig’s tenure.